We're super proud to be opening our second PureGym in Northampton! 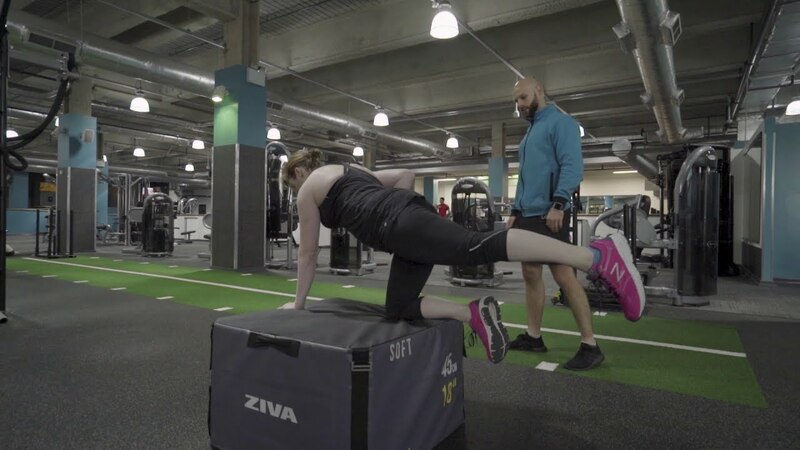 PureGym Weston Favell is set to contain everything you need to succeed no matter what your fitness goals may be including a massive selection of the best gym kit, a great choice of gym classes and a fantastic fitness team to give your motivation a helping hand. As the UK's biggest gym chain with over one million members, it's safe to say that whatever reason you have for joining, we've got you covered. When the gym opens, you'll find us where Burton and Dorothy Perkins used to be in the Weston Favell Shopping Centre- you can park for free for up to four hours. View all gyms in Northampton here. We're filling the gym floor with a huge variety of state-of-the-art kit ranging from cardio and resistance to freestyle and free weights so you can discover new ways to work out and push yourself at your own pace. We're putting together a timetable of gym classes - most of which are included in your membership at no additional cost - designed to help you achieve your goals in a friendly environment with motivation on tap from the instructors. No matter how busy you are, finding the time to visit PureGym won't be a problem as we'll be open 24/7. You can also get workout inspiration and healthy meal ideas at any time via the PureGym blog. Once we open, you'll find us where Burton and Dorothy Perkins used to be in the Weston Favell Shopping Centre on Billing Brook Road. Gain access to the gym via the staircase opposite WHSmiths and H Samuel. Lift access is also available - simply contact the security team for further assistance. By car: Take the exit towards Westone/Lings (Town Centre Earls Barton A4500). Turn right onto Wellingborough Rd/A4500 (signs for E. Barton). Turn left onto Octagon Way. At the roundabout, take the third exit. Go through one roundabout, turn left, and the shopping centre will be on your left. The postcode is NN3 8JZ and you can park for free for four hours. By bus: there's a great service to the shopping centre from bus numbers 5, 53, 54, 82, x46, x47, 1 107, 51, 53, 16, 21 and 88. By bike: you can lock your bike to the shopping centre bike racks.